Gorilla Glue 50018 - Polyurethane Glue, 18 oz. 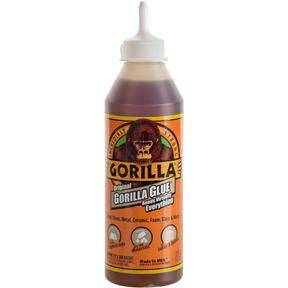 Gorilla Glue is the finest all purpose premium polyurethane wood glue available today. Gorilla Glue is environmentally friendly, incredibly strong, 100 waterproof, will not freeze, requires no mixing, does not become brittle with age and will not expand or contract in the glue joint. You can even glue up oily exotics without the kind of surface preparation required by other glues. You only need to apply Gorilla Glue to one surface, so your glue lasts twice as long. Clean up is easy and non-hardened glue may be removed with denatured alcohol, thinner or other common solvents. 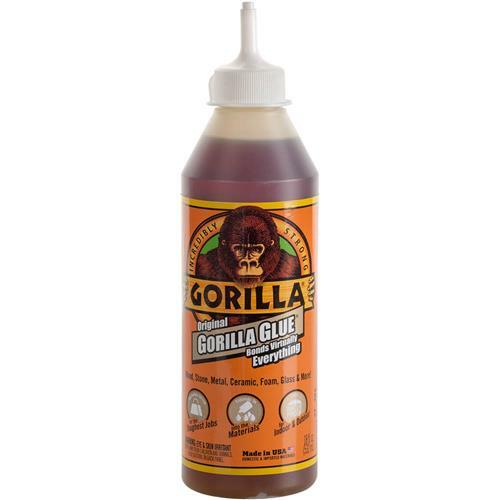 Gorilla Glue is 100 pure and contains no solvents or additives.